Cyberattacks on Internet of Things (IoT) and operational technology now expose businesses to greater risk. But, with all the security technology available today, we asked ourselves the question, why do they keep happening? 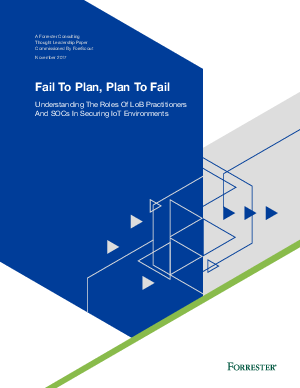 ForeScout commissioned Forrester Consulting to see if organizations can adequately and accurately secure their networks with the rise of IoT-connected devices. Read the Report to learn more about the findings.